Serta springbox bed Classico has a modern appearance with double piping. The metal frame has a bonell springsystem. Standard the mattresses are supplied with two loose cores in one mattress! The Classico can also be supplied with a footboard. The piping is clearly visible throughout the bed. Serta spring beds are unique in size, geometry and a lust for the eye. The multi-layer structure of the sleeping system ensures optimum support and comfort. On the boxes you can choose from 3 different mattresses. 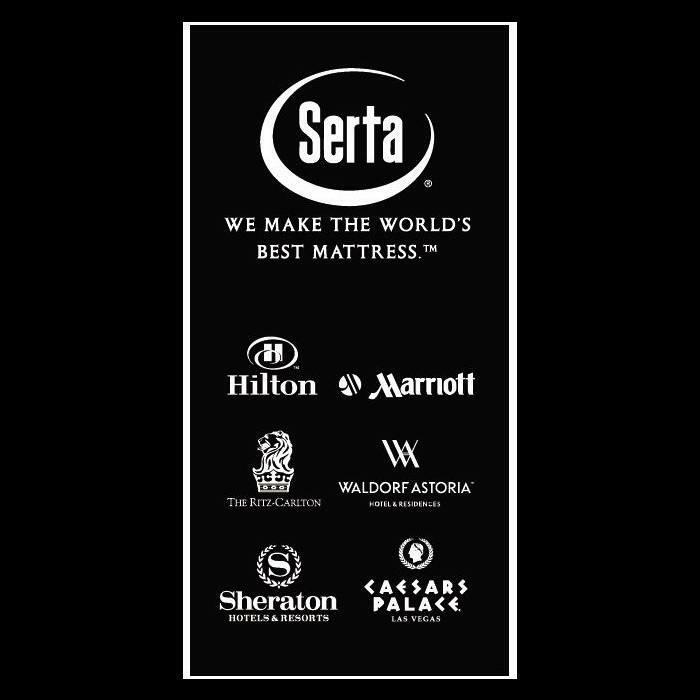 The Serta mattresses are standard delivered with two cores in one mattress. Available in flat or adjustable variant.